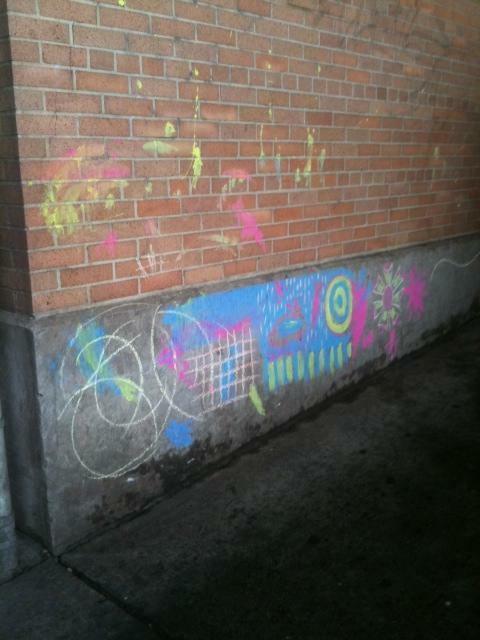 KidSpace: The city is my canvas! Continuing with the KidSpace Project- this is a typical example of what qualifies. A sheltered street, low through traffic (fewer disapproving adults), textured grey wall and some chalk. Voila- personal canvas is born! For a while now, we have been interested in this idea of how children’s spaces are different from ours. It is not necessary to have toys in a space for it to engage a child. In fact we find that our 3 year old tester finds fun in the most unobvious places- the bar of a scaffolding becomes a hanging beam, a strategically places toilet roll holder becomes a steering wheel, a clothes hook is an elephant with its trunk up- you get the idea! So to honor active imaginations of our youngest generation, and to explore design from their perspective, we are going to dedicate the next few posts to children’s spaces (design and details) that we find intriguing or those that we consider huge success because they cater to the littlest folks in the best way.